How Do I Setup A/B Split Testing For My Quiz? 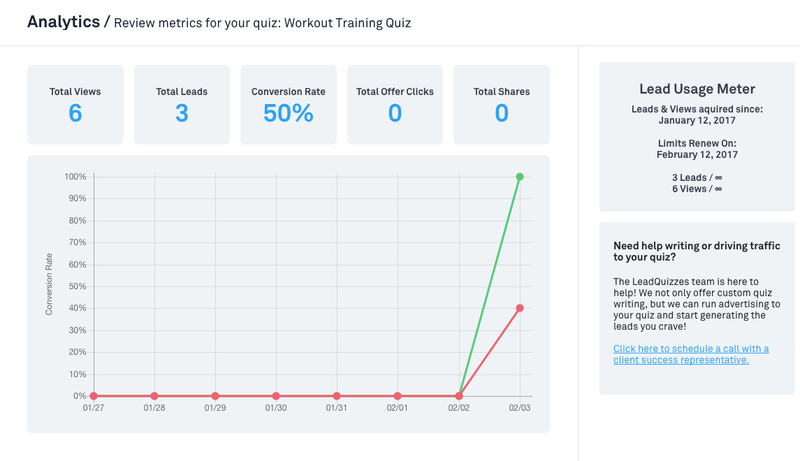 Learn how to setup A/B Split Testing within the LeadQuizzes software. Before you can create an A/B split test you need to the original quiz you want to test already created and published. Watch the video or follow the steps below to create and view the results of your split test! Once this is done follow the steps below. From the LeadQuizzes find the quiz you want to create the A/B split test for, hover over the gear and select "Edit"
2. You should see the "Configure" section of the quiz builder and at the top of the page "A/B Testing" with a drop down. 3. Click on the box that has your current quiz title and you will see an option to add a new variation. Click on "Add new variation +"
4. You will see an option for the quiz variation that you would like to test. 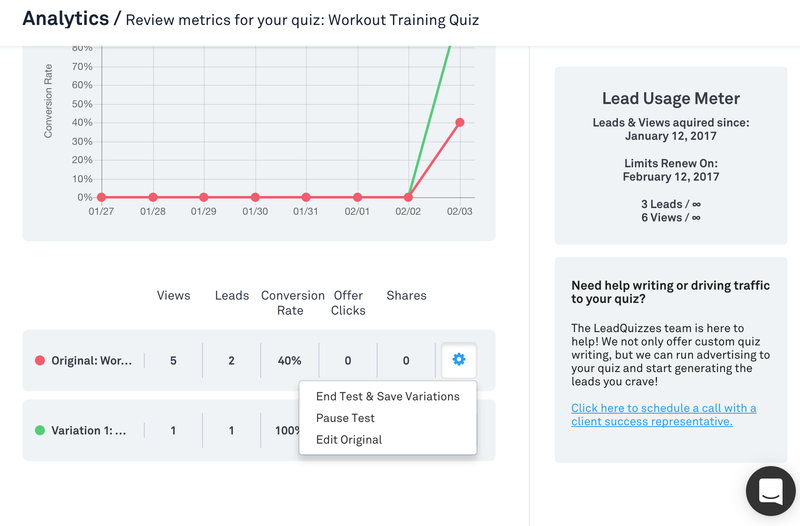 You can either split test this quiz against another quiz you already have created, against a template (that you can customize) or against the current quiz variation and then make a few changes such as start page image, text, or sales page that you are driving results to. 5. 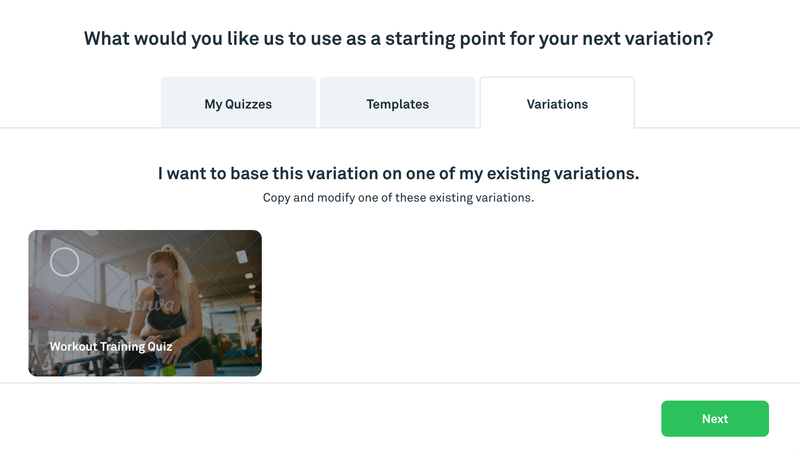 Once you select the starting point for your variation you will have a new quiz that you can customize or make changes to. You can only test a total of two variations at this time (the current quiz and a new one) and we recommend you only make one change at a time so you know what change is resulting in the change that you see. 6. Once you have the new variation created navigate back to the dashboard and you will be able to that the quiz now has "A/B Test" under the quiz title so you can easily see which quizzes you are running a test on. 7. The test will automatically split traffic to the quiz 50:50 and you can see the results of the test by clicking on the graph icon next to the quiz title as shown below. 8. You will be taken to an analytics dashboard where you will be able to see how well your test is performing. As shown below. 9. 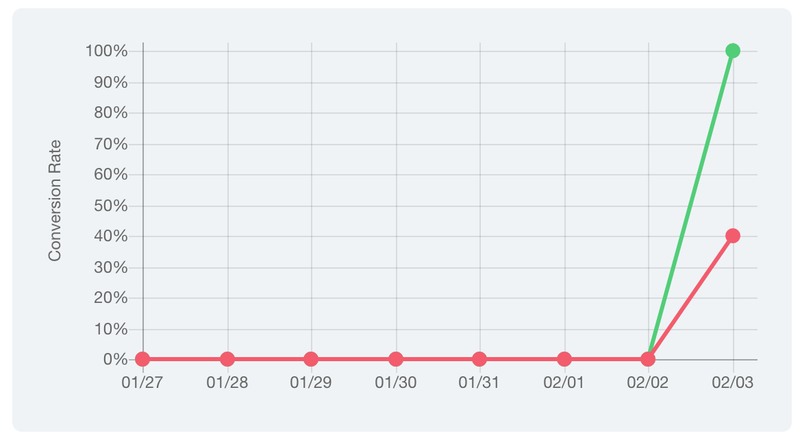 You'll be able to see how the tests are performing on a daily basis using the graph chart as shown below. 10. You'll also be able to pause your test, edit the test or end the test from this dashboard.